Our Training, Assessment and Quality Assurance (TAQA) NVQs enable individuals to use their industry skills, knowledge and experience to help others by becoming an NVQ Assessor or Internal Verifier. Our TAQA NVQs are delivered through a combination of online assessment through our bespoke ePortfolio system, and through direct (on-site) observation of performance. Individuals will be assessed by one of our specialist assessors, all of whom hold relevant high level qualifications in learning and development. This qualification is for individuals that want to become an NVQ assessors that are able to assess learners in the workplace. Assessors guide, support and assess learners in order to help them gain National Vocational Qualifications (NVQs). This is the direct replacement qualification for the NVQ Assessor Award Unit A1. This qualification is for qualified Assessors that want to become Internal Verifiers. Internal Verifiers Develop and support Assessors by monitoring the activities of the Assessors, ensuring they have time, resources and experience to carry out assessment duties and taking appropriate action when they do not. Can existing construction managers close the construction skills gap? Latest CADUK articles delivered straight to your inbox! © Copyright CADUK 2018 – Unauthorised use and/or duplication of this material without express and written permission from this site’s author and/or owner is strictly prohibited. 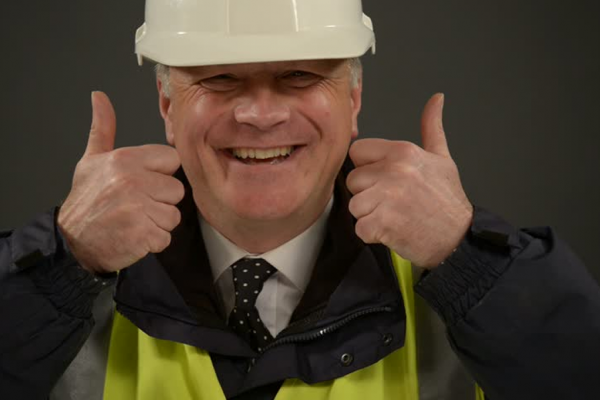 I have just completed my NVQ 7 Diploma in Construction Senior Management with CAD UK. Thanks to the support I have received from Gary and Nick I was able to complete this without any problems. I would highly recommend CAD UK. Just completed an NVQ with CADUK and found the whole process well managed and straightforward. Easy to apply, and the portfolio system allows you to work seamlessly accross a number of platforms. Good support and communications throughout from the team at CADUK and the assigned tutor for your course. A great experience and highly recommended for anyone trying to balance study with a full time role. Supportive, professional and an exemplary service. It is a pleasure to learn with CADUK. Tailored to suit you, your professional work and your time frame; be that fast track or snail trail. I have lately undertaken an NVQ with CADUK, their personnel were excellent, providing friendly support and professional advice, I would not hesitate to recommend CADUK for any Industry accredited requirements in the future. I have recently completed the NVQ level 6 in Construction Management with CADUK. There were a lot of modules to work through, but with excellent support from the team I completed it with no worries. The works portal is easy to use and the method and timeframe for completion suited me perfectly. I would definitely recommend studying again with them. Absolutely fantastic. Totally recommend these guys. Brilliant tutor comes out to site. Nothing was too much trouble for them. Approachable, helpful and easy to work with. The guidance was excellent and got me through quickly and painlessly. Highly recommended. Absolute top of the tree professionals, providing a top class service from the first phone call to receipt of achieved qualification - Would recommend them to all!!! Superb support from CADUK throughout the process. Completed my NVQ Level 7 in Construction Senior Management and obtained my MCIOB. Great communication and professional help throughout the process. Highly recommended. Huge thanks to Gary and Martyn for all their help.